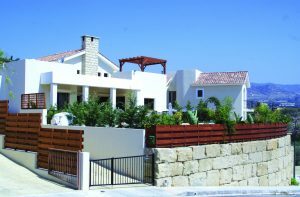 As the economy of Cyprus continues its impressive growth, more and more people are experiencing the enviable lifestyle of the islanders for themselves. With year-round sunshine, crystal clear waters and links to three continents, Cyprus has become more than a place to visit: it’s one of the lifestyle and business capitals of Europe. 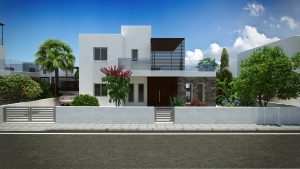 Whether you’re looking to settle in Cyprus or capitalise on the tourist and business boom, a Cypriot villa represents an incredible investment opportunity. Read below to see our range of investment opportunities through villas in Cyprus, from the city of Limassol to the island’s more isolated and tranquil towns and villages. Despite being less well known than Nicosia or Limassol, Pafos is one of the jewels in Cyprus’ crown. The town was known throughout the ancient world as the birthplace of the Greek goddess of beauty, Aphrodite. Ruins from the 12th century B.C. still survive nearby, and a wealth of artefacts have been collected in the Lusignan Manor museum. Pafos isn’t just a place for dusty relics, however. The European Capital of Culture for 2017 is also a beautiful coastal retreat, boasting a developing waterfront and marina, shopping malls, an international airport, numerous sports facilities and a renowned golf course. Best of all, it’s within easy driving distance of the large southern cities, making it perfectly positioned to explore Cyprus at your leisure. 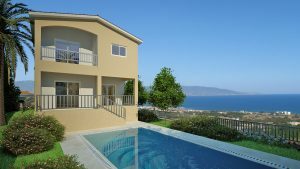 Here are a few examples of the kinds of villas available in Pafos. These stylish, lavish and luxurious villas are situated on elevated ground by the coast, offering pristine views and a perfect location. The development is a few short minutes from the picturesque village of Peyia, 5 minutes from the Blue Flag rated Coral Bay, and 15 minutes from the centre of Pafos. With the seafront, countryside and town on your doorstep, you can easily experience everything Cyprus has to offer. The angular properties feature modern yet understated designs both inside and out. The interiors and spacious and elegant, with a range of finishes and fixtures to suit different budgets. The outdoors meanwhile features a large private swimming pool, roof terraces and large parking areas. Villa sizes range from 143m² to 174m², with a total plot size from 413m² to 455m². Prices begin at a suitable EUR780,000 plus VAT. For a prime Cypriot property location, look no further than the Rosemarine Residences. This development is elevated just above the clear, pristine waters of the west coast of Pafos, with Blue Flag sandy beaches and a developing marina nearby. The villas themselves have been designed by cutting edge architects, combining classic Mediterranean style with a truly modern aesthetic. These villas are extremely spacious, with large private pools, an external WC, basement, large carport, verandas and a roof terrace. A range of local fauna around the perimeter completes the effect, offering both natural beauty and additional privacy. Villa sizes range from 331m² to 542m², with plot sizes from 351m² to 1072m². Expect prices to top EUR1,050,000 plus VAT. As the name suggests, the Riza Heights development offers sweeping views of both coast and countryside. Situated just outside the village of Peyia, the properties offer relative seclusion to their tenants, while staying in reach of bustling nearby Pafos. Blue Flag sandy beaches, retail outlets, restaurants and a developing marina on your doorstep complete an impressive package. These luxurious properties boast modern interiors and spacious exteriors, with an abundance of spaces to make the most of the sunny Cypriot weather. All of the Riza Heights villas boast large private swimming pools and parking areas, as well as pergolas and roof terraces. Villa sizes range from 143m² to 174m², with plot sizes between 413m² and 455m². Expect prices to start at a modest EUR487,100 plus VAT. 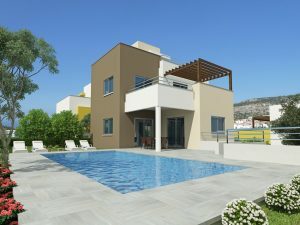 This gated village development is located in the charming village of Mandria, just outside of Pafos. With a collection of traditional pubs and eateries and the beachfront on your doorstep, these villas are an ideal way to experience the relaxed Mediterranean lifestyle. All of the villas feature a private swimming pool, ample parking space and beautiful greenery. The properties are finished to a high standard, with a range of fixtures that deliver style at your specified price point. Indoor space is ample thanks to open plan kitchen and dining areas, and all properties feature a number of balconies. Villa sizes range from 163m² to 175m², with plot sizes from 269m² to 392m². Prices start at a reasonable EUR420,000 plus VAT. The enticingly named Sea Caves Residences are an exclusive set of seaside villas, located near the eponymous Sea Caves of Coral Bay. These spacious, stylish villas are close to the St George’s fishing harbour, and a 10-15 minute drive from the city proper, meaning that you are secluded without feeling isolated. The Sea Caves villas feature modern internal finishes, and are particularly notable for their sizable exterior space. Each villa includes a large pool and multiple verandas, with many also featuring a large carport. The Sea Caves Residences are between 164m² and 201m² in size, with a total plot size of 722m² to 1067m². 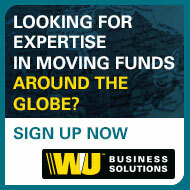 Expect prices to start at around EUR650,000 plus VAT. The Premier Residences at Venus Rock are an ideal option for holiday homes or smaller families, offering a smaller plot with all the attendant advantages of Venus Rock. All of the Premier Residences feature outdoor swimming pools and verandas, with open plan ground floor designs and a variety of design features. Every villa is designed in the traditional Mediterranean style, and finished to a high standard, with a marble facade, high quality veneers and ceramic tiling. The villa sizes range from 137m² to 234m², with total plot sizes from 452m² to 821m². With 12 different villa options available, prices vary considerably, but you can expect them to start at EUR505,000 plus VAT. 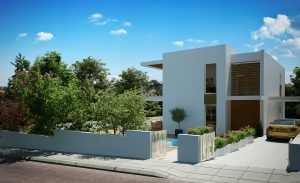 These luxury properties are situated in the centre of the Venus Rock development, offering immediate access to the beach, golf course and sites of historical interest. Each villa is spacious, stylishly decorated and energy efficient, with thermal insulation for year-round occupancy. Mods cons fitted as standard include state-of-the-art air conditioning, video door phones, and an elevator for easy access to all floors. All of the Royal Residences include an outdoor pool as standard, and are fitted to the highest quality. The exterior is cladded with imported marble, and the interiors include high-quality veneered wooden fixtures, with a clean and elegant look. With a range of floor plans, the villas cover between 197m² and 310m², with a total plot size of around 1000m²-1500m². The Royal Residences start at EUR1,300,000 plus VAT, with a range of optional extras available. These opulent villas are primely positioned for the luxury investor. Situated in parallel to the famed Venus Rock golf course, these elegant properties combine classic mediterranean design with modern features. The properties are just 12 minutes from Paphos and 35 minutes from Limassol, making them perfect for an escape without being isolated. Interiors are sleek and sophisticated, while the gardens are cultivated with local flora. The properties range from around 300m² to 350m², with a total plot area of between 1145m² and 1434m². As an ongoing development however, plots could potentially be merged to create a larger property. For this slice of the luxury lifestyle, expect to pay upwards of EUR 2,035,000 plus VAT. Long known as the commercial, shipping and business heartland of Cyprus, Limassol is fast becoming a residential hub too. Whether you’re living there permanently or just visiting, Limassol’s balmy year-round climate and bustling cosmopolis is an ideal attraction. As Cyprus’ second largest city, this beachside resort has plenty to offer. From beautiful views to myriad activities, you’ll never lack for something to do in Limassol – or great places to live. Here are just a few of the villas available in this prime location. These exclusive properties are in an extremely sought-after area, a few minutes outside of the bustling city. Each villa is a distinct architectural marvel, with a unique aesthetic design to feel contemporary while blending into the locale. The amply sized villas feature a mixture of landscaped gardens, private swimming pools, decking areas and elegant verandas. The interiors are modern and open plan, with designs selected and custom finished by professional interior designers. The exteriors meanwhile mix traditional materials such as stone with angular modern architecture, to quite stunning effect. Villa sizes range from 252 to a staggering 1017m², with plot sizes from 520m² to 1963m². Prices naturally vary, but expect a minimum value of EUR1,180,000 plus VAT. Offering the ideal compromise between country and city living, the Monagrouli Hills villas are situated in the eponymous village, just outside of Limassol. This luxury development provides stunning views of the surrounding countryside, ample space and ideal positioning. As well as being in reach of the city and beaches, you’re also close to Larnaca airport and the truly majestic Troodos mountains. These rustic, comfortable properties are surrounded by orange, olive and lemon groves, giving you the perfect taste of Mediterranean life. The interiors are attractive while catering to a range of budgets, while the exterior offers a private swimming pool, roof garden, pergolas and parking area. Villa sizes range from 122m² to 198m², with plot sizes from 390m² to 807m². Prices start at a modest EUR350,000 plus VAT. For a more traditional country feel, you might consider the properties at Souni Pine Forest. These traditional villas are nestled in idyllic surroundings near the village of Souni, on the inland outskirts of Limassol. With a 15 minute drive into the city and a 20-30 minute drive to the Troodos ski resort, the Souni Pine Forest development is perfectly placed for every kind of escape. The villas are spacious, comfortable and stylishly finished, while catering to a range of budgets. Each villa features full air conditioning, a fireplace, thermal insulation and full double glazing, making them perfect for year-round living. You’ll also benefit from a private swimming pool, barbecue area, pergolas and large car parking area. Villa sizes range from 128m² to 204m², with plot sizes of 351m² to 1015m². Prices start at a modest EUR412,000 plus VAT. Nestled in the more isolated reaches of northern Cyprus, Polis and Latchi are among the island’s lesser known treasures. The pristine stretch of northern coast has remained relatively peaceful, leaving its pebble beaches pristine and its flora and fauna to flourish. Enjoy the wildlife from the quiet town of Polis; experience the romance of Latchi, where legend has it that Aphrodite and Apollo first fell in love; or bask in the secluded beauty of Pomos, one of the most beautiful and isolated spots in Cyprus. For lovers of quiet and country, welcome home. 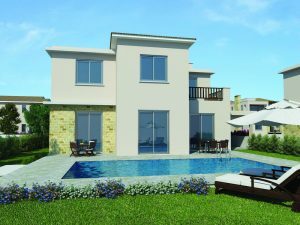 This seafront development is a rare beast indeed: a community of beautiful villas perfectly suited for families, and situated in the most desirable area of Cyprus. These luxury residences all offer stunning sea views, and are just minutes away from Polis’ many amenities and sites of historical interest, including the Baths of Aphrodite and the crystal clear Blue Lagoon. Every property has its own private swimming pool, covered parking area, veranda and balconies, ensuring you can make the most of the gorgeous weather. The luxury modern interiors can be customised with a range of materials and colours, and include high quality ceramics, aluminium sections, and a fireplace for the colder months. The villas range from 154m² to 289m² in size, with total plot sizes between 372m² and 900m². Prices begin at EUR599,000 plus VAT. Situated in Cyprus’ own Garden of Eden – at least according to the locals – the Pomos Sunset 2 development offers unparalleled seclusion in one of the island’s finest habitats. The villas are surrounded by the seafront on one side and the Pafos forest on the other, Pomos Sunset 2 is the perfect place to escape from the outside world, and revel in the majesty of nature. Situated on a tiny peninsula 25 minutes from the nearest village, the Pomos Sunset 2 villas are the epitome of quiet seclusion. Enjoy a stroll down to your own private beach, or relax on your own substantial plot of land. Sit by the pool, indulge in a spot of gardening, take in the surrounding nature, or simply relax in your spacious, modern villa. And when you fancy a spot of civilisation, the towns of Polis and Latchi are just down the coast. It doesn’t get much better than this. The villas range in size between 110m² and 132m², with ample plot sizes of between 601m² and 813m². Prices start at a very reasonable EUR350,000 plus VAT.